As a long standing practice with Consultum Financial Advisers, we’re proud to have won numerous awards over the years. Tony Akkawi was named the 2017 Consultum Rising Star. The award recognises a number of aspects including the quality of advice provided to clients, ongoing development, and overall contribution to the business and to the industry. 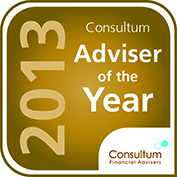 Michael Loizou was named the 2013 Consultum Adviser of the Year. The award provides recognition to an outstanding individual who has gone the extra mile in providing professional financial advisory services to their clients. The Consultum Practice of the Year is awarded to practices who have achieved excellence in adopting best practices whilst raising public awareness of the value of the financial planning process. Recipients are nominated alongside their peers within the Consultum network.